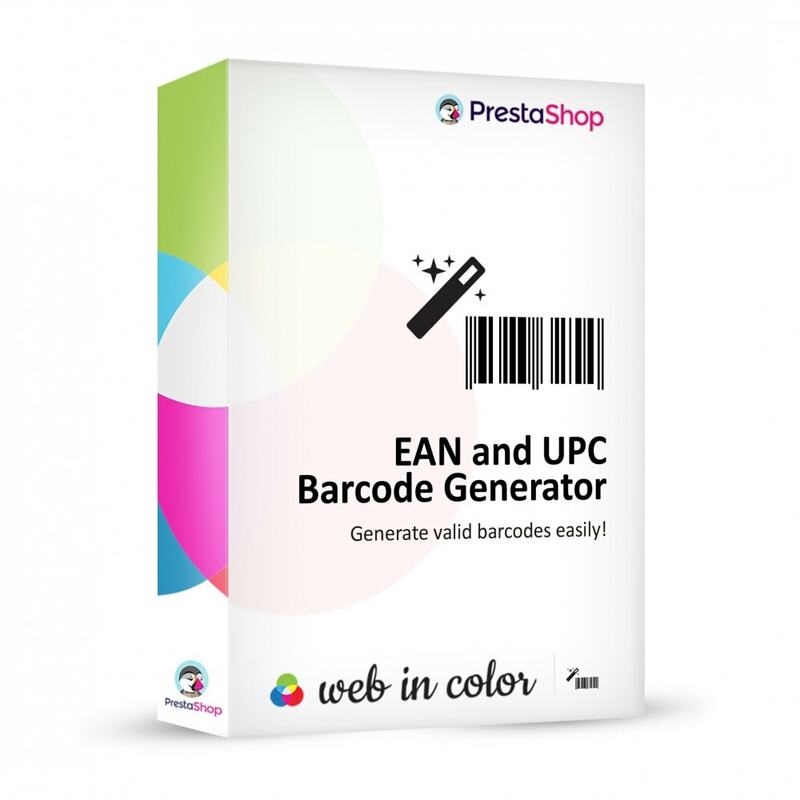 The Generator is compatible with the purchase of EAN code ranges and / or UPC and generates the algorithms respecting creation and validity. 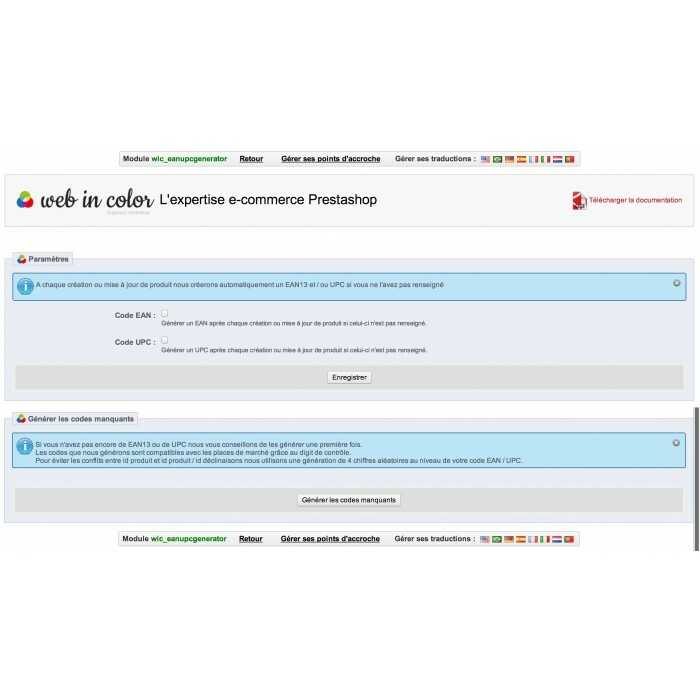 From these findings, our experience of e-commerce and our technical expertise and Prestashop born this module which should satisfy a large panel of e-merchants. 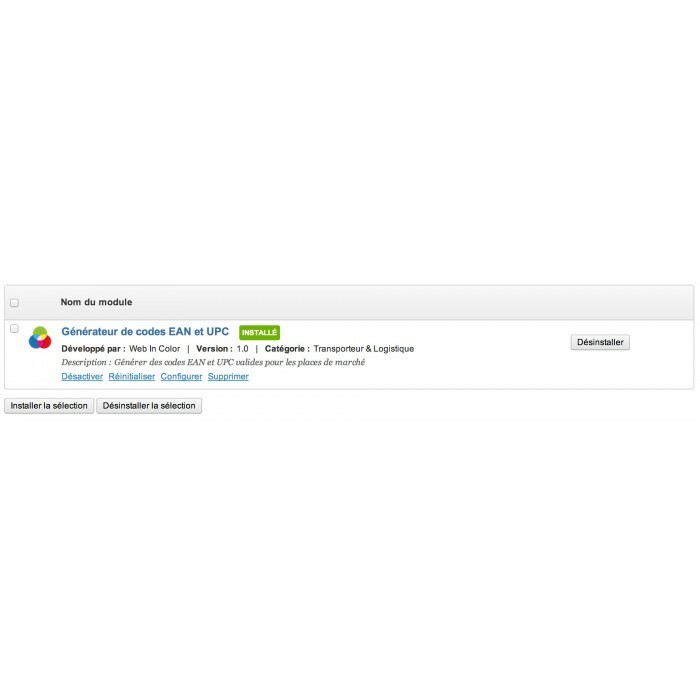 Automatic generation according to the algorithms for creating UPC and EAN codes : the generated codes are VALID for the marketplaces. Consideration of prefixes transmitted by GS1 if you booked EAN / UPC code ranges. To be validated on marketplaces, prefixes used must necessarily be unconditionally issued by GS1. 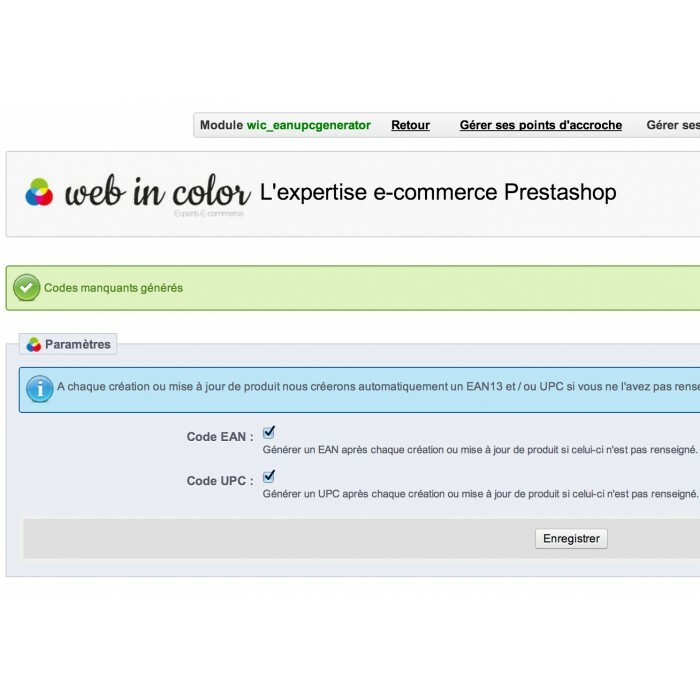 The module does not substituted to enter or import the EAN / UPC for your products whether these products have an EAN / UPC codes assigned by your suppliers. 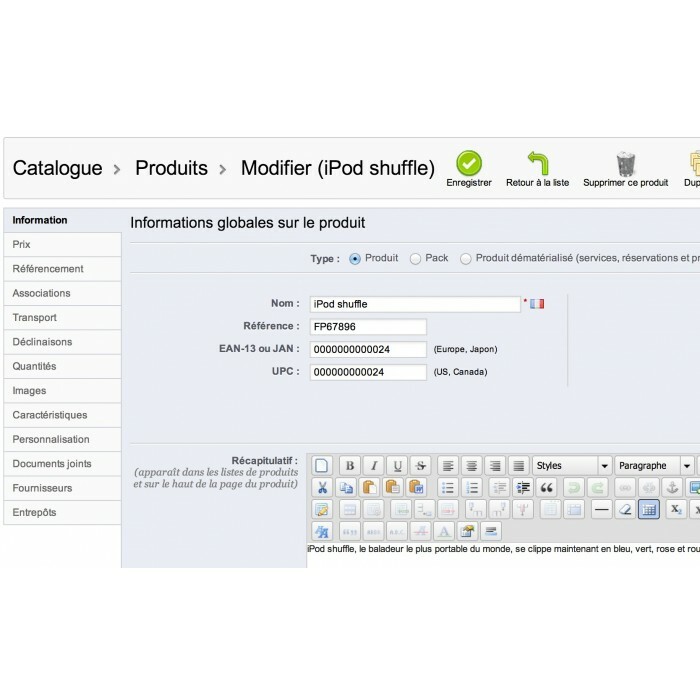 The module does not automatically recover the EAN / UPC any of your products. 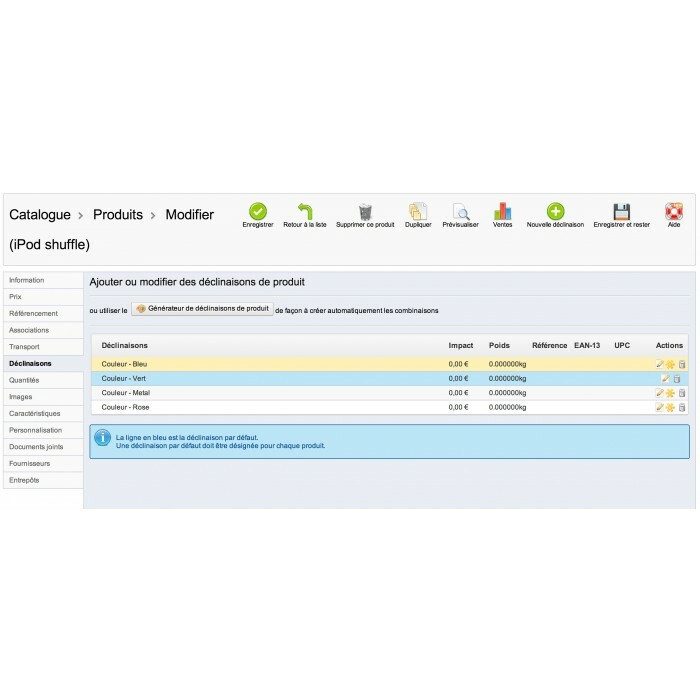 The module automatically generates EAN / UPC codes in compliance with the creation of standards (algorithm and check digits) and take into account your GS1 prefixes if you have and ask. To be validated on marketplaces, prefixes used must necessarily be unconditionally issued by GS1​.